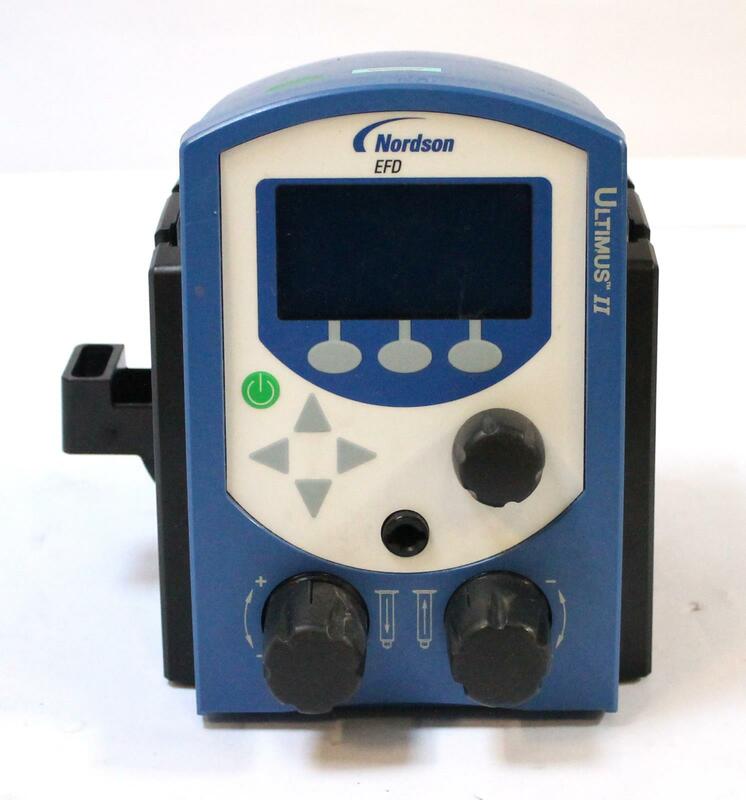 Up for sale is a used Nordson EFD Ultimus II Glue, Grease, Epoxy, Solder, Silicone Fluid Dispenser. It was pulled from working condition. Power supply or other accessories are not included. High-precision benchtop fluid dispensing control for advanced applications of glue, oil, grease, epoxy, silicone, sealant, cyanoacrylate, solder paste, and other assembly fluids dispensed with syringe barrels. Featuring a digital display of all fluid dispenser settings and time adjustment as fine as 0.0001 seconds, Ultimus™ I-II dispensers bring exceptional control to medical device, electronics, and other critical dispensing processes. 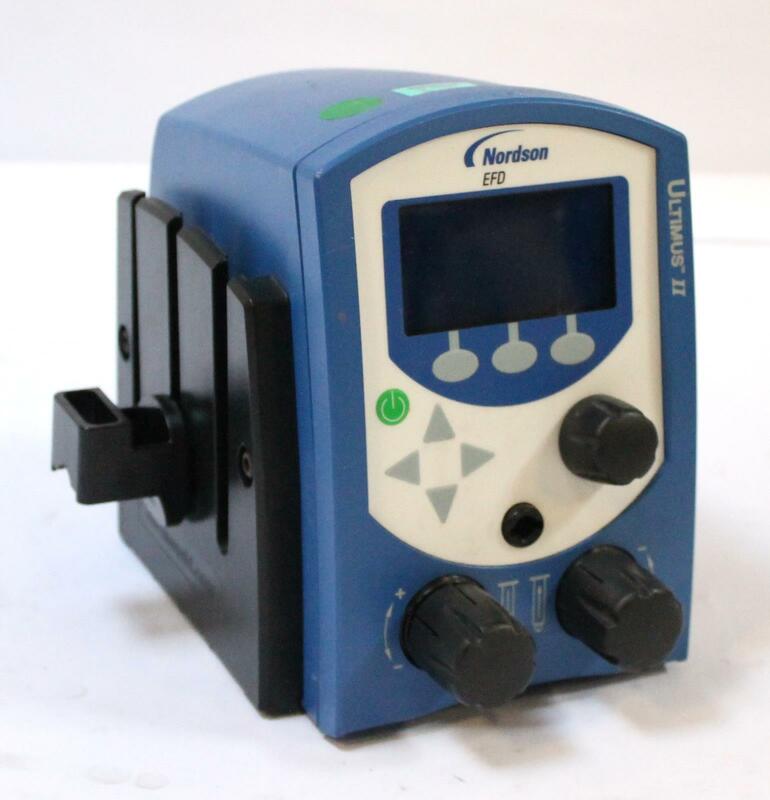 Ultimus I features 0-100 psi (0-7 bar) constant-bleed air pressure regulation and provides greater control when dispensing any type of fluid. 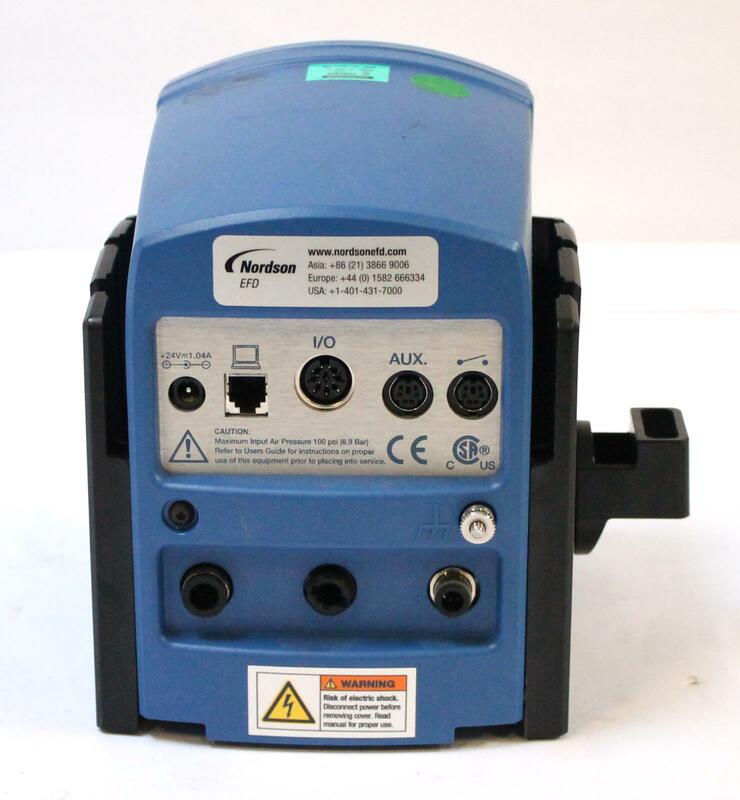 Ultimus II features 0-15 psi (0-1 bar) constant-bleed air pressure regulation and provides greater control when dispensing low-viscosity or thin fluids.